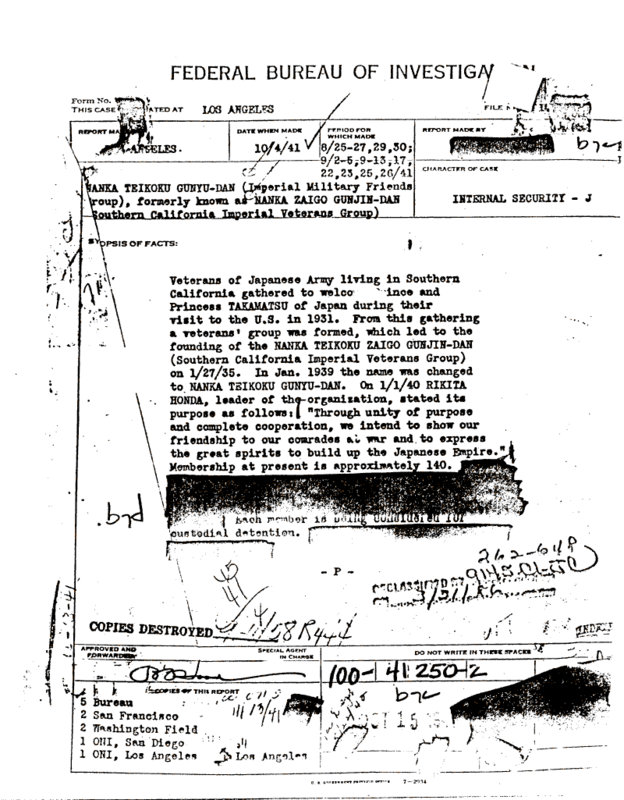 Document Notes: Pre-Pearl Harbor assessment of this organization, one of many along the West Coast. Note: the last page shows 181 pages have been withheld from release. These pages probably showed membership.